Serious about getting sharp in 2017? We happen to know a guy. 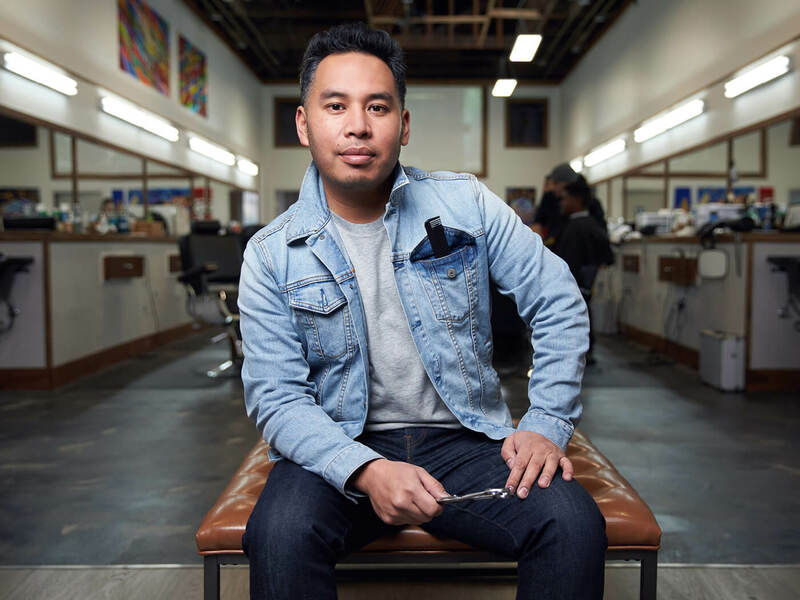 Meet Anton Cura, a barber with 20 years experience at Bay Area shops. (His clippers have even been sought out by well-known athletes & musicians.) We sat down with him to talk hair trends, do's and don’ts, and the importance of grooming for all guys. First things first: what made you become a barber? “Mainly it’s just the appreciation of art. That’s exactly what we are—artists. It’s a way of life, a lifestyle. I like to use the term ‘barber gallery’ because we are artists. The way I designed my spaces―Attention to Detail and San Francisco Barbershop―was to provide a platform for my team to display their craft. I like to use the term ‘barber gallery’ because we are artists. How do you think the worlds of style and hair grooming intersect? Having the perfect haircut to fit one’s face is like a made-to-measure suit. What are tips for someone to get the exact haircut they’re looking for? Working with the stylist firsthand, showing them a picture, that always helps. So what are some easy ways for guys to stay looking fresh? Who are some of the coolest guys you’ve styled? What are some key signs you’re in a bad barbershop—and need to run for the hills? What’s a no-no style any guy should avoid? Guys are more willing to research and invest in product. Ultimately, it’s just investing in yourself. What are some new styles you’re looking forward to in 2017? “You’ll see men getting into more of the styling elements of grooming, like incorporating a blow dryer, which allows volume. Guys are more willing to research and invest in product. Ultimately, it’s just investing in yourself. I think a really cool hair style I’ve seen nowadays is the messy look. I always thought it was a really effortless, cool―not even trendy―but stylish look. It’s very simple to achieve, too, if you have medium-length hair. It just goes back to the product, if you know how to style it. What hairstyles are you trying this year? Let us know in the comments below.